Tell us about Inklet and what we can expect to discover. At Inklet we’re all about doing what’s best for our environment, our community and your little ones. All our products are locally made with certified organic cotton fabrics and are screen printed by hand with water based, environmentally friendly inks. Inklet is inspired by nature, the ocean and our hometown of Melbourne. 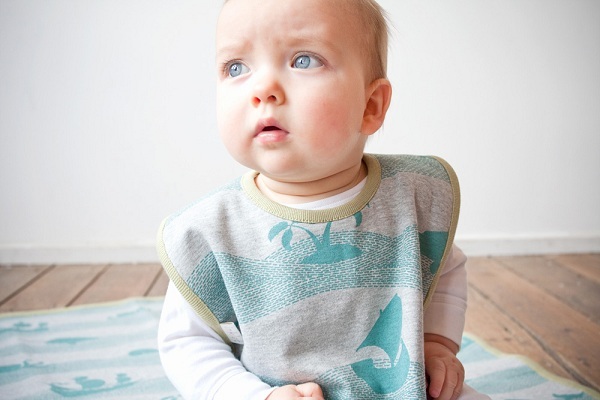 The range includes bibs, blankets, t-shirts and onesies for newborns up to size four. What is your background and what lead you to starting Inklet? 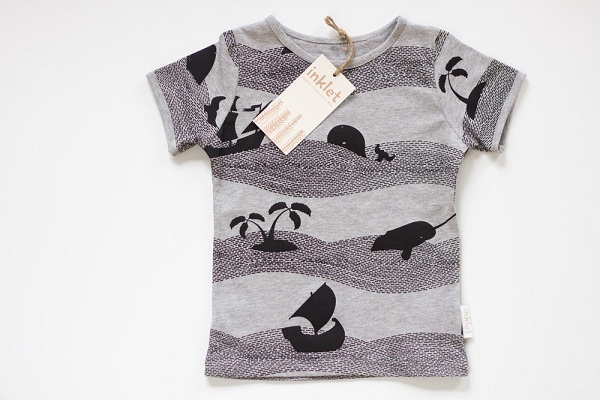 Inklet came to life when Dana moved her label of 5 years, Twiglet, into the Ink & Spindle textile printing studio. 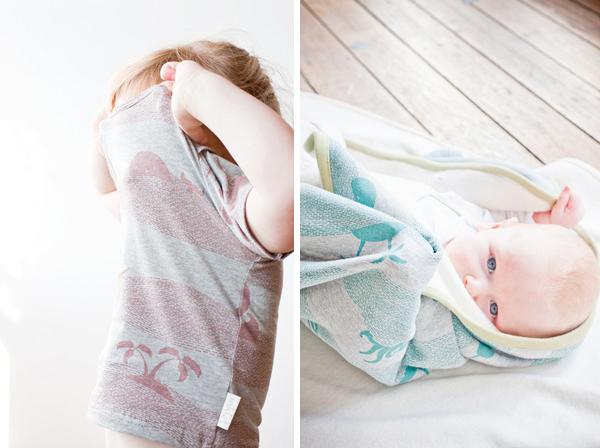 Twiglet is a children’s wear label which predominantly features up-cycled vintage fabrics, Australiana tea-towels, retro curtains and some boutique textiles (including Ink & Spindle’s “Wrens” and “Acacia”). Dana has a background in upholstery, pattern making and was brought up with a dressmaker grandmother and surrounded by craft. She is also a makeup artist and runs a mobile hair and makeup business called Lady Day. Prior to Ink and Spindle, Lara Cameron worked for many years as a web and graphic designer, experimenting with surface design and textiles. Tegan Rose completed a Fine Arts degree and then went on to become a secondary school teacher. Ink & Spindle was established in 2008 in Kensington, Melbourne. It is run by founders Lara and Tegan, who design and screen print all their textiles by hand in an ethical and sustainable manner. It only made sense to combine our skills and produce this little range for all to enjoy! What are some of your favourite websites & blogs for inspiration? As far as the three of us developing Inklet goes – I think we all agree that pastels and the blue/pink idea for babies is no longer what appeals to buying baby gifts or dressing your children. 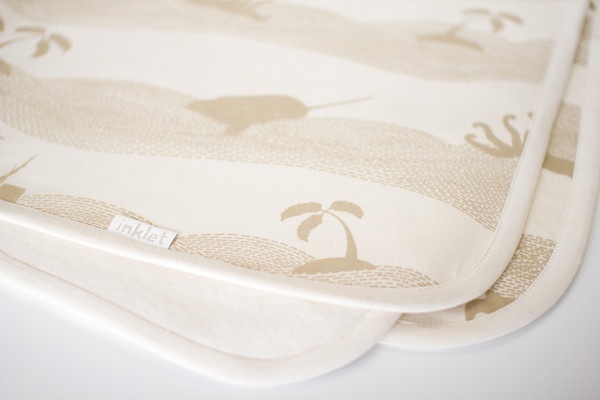 Developing the prints and products for Inklet has been all about local inspiration, nature and whimsical ideas. 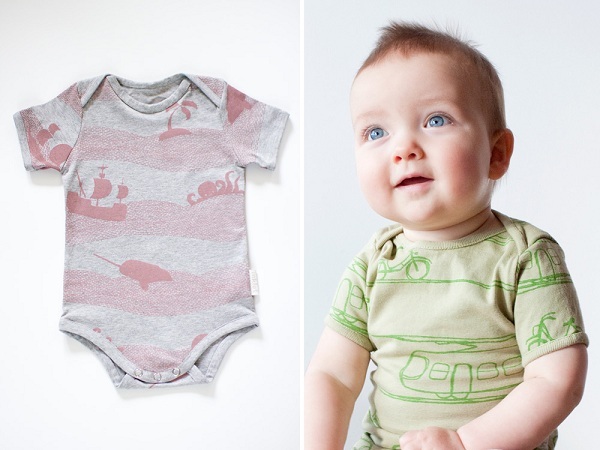 “Pirates and Sea Creatures”, “Trams and Bicycles” and “Little Forest” are among the names of the prints in the range. What do you love about working on children’s wear? We love adapting the colour ways to what we believe will be most complimentary to the fabric designs, keeping the range child friendly. The freedom to design and print the organic cotton jersey in-house is a blessing and allows us to design the product from the most basic medium to the finished sample. The results are so rewarding – holding up a sample of the first finished size 000 onesie made us all weak in the knees, and yeah, a bit clucky. What plans do you have for Inklet this year? This year we hope to develop the range further and add a few new products – leggings and dresses are potentially on the cards. There is always room for the prints in new colour ways and base-cloths so we will be working on some new samples and possibly even larger sizes throughout the next few seasons. Watch the Ink and Spindle blog for updates!